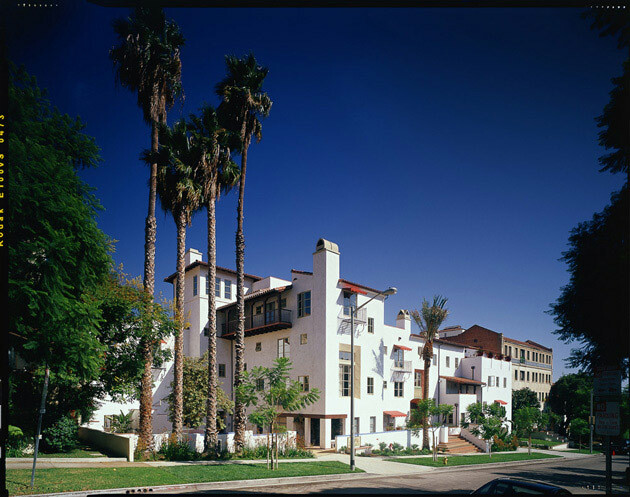 Although the Los Angeles region has a long and distinguished history of urban courtyard housing, Harper Court is the first new building of this type to be built in 75 years. 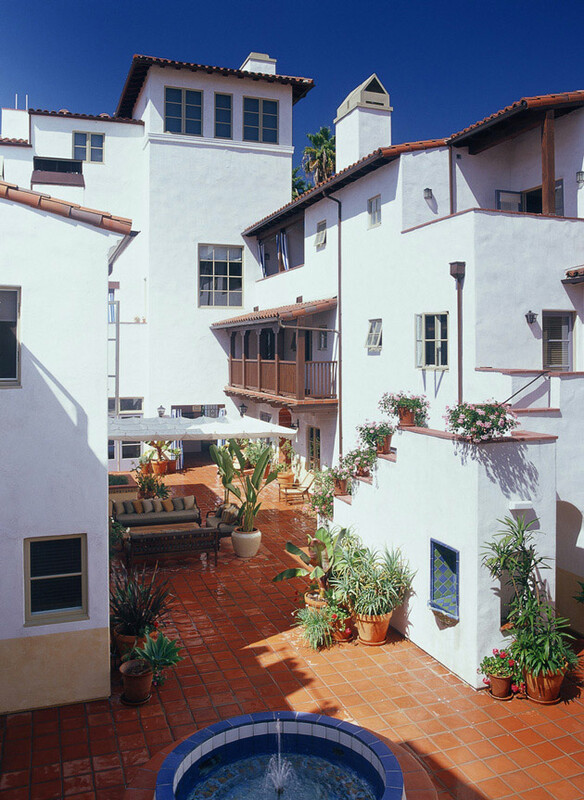 This project continues the tradition of courtyard housing, using as reference famous Hollywood precedents such as the Andalusia (1926) and the Ronda (1927). 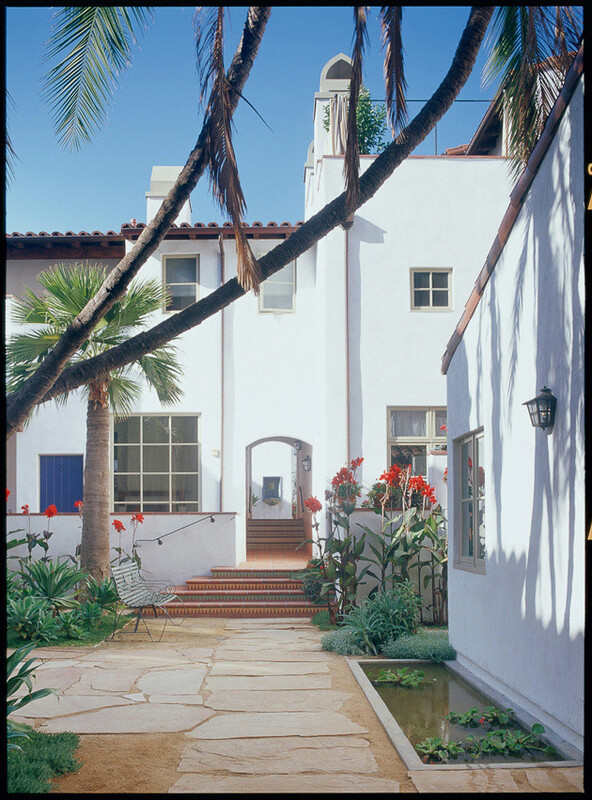 Organized around four courtyards with seven fountains, it is located adjacent to the Sunset Strip in West Hollywood. 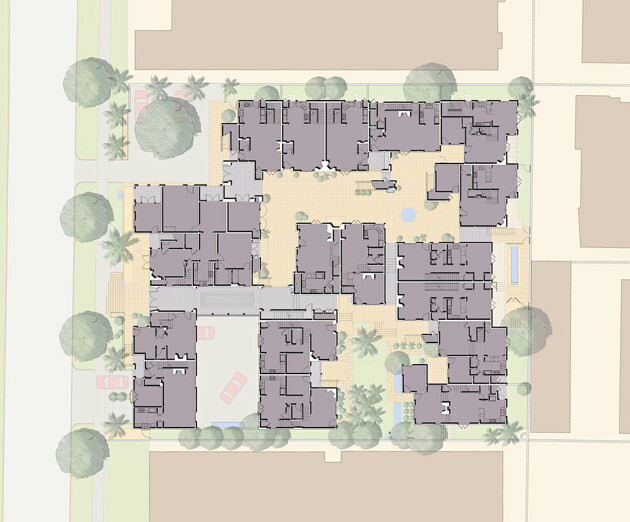 Harper Court: Seven Fountains apportions interior and exterior spaces among twenty units, most with a double-height living room. 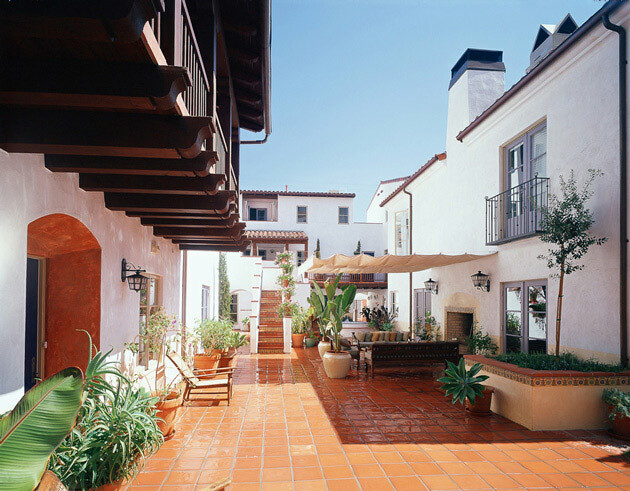 Each unit also has its own private garden overlooking shared courtyards and a separate, directly accessed live-work space. 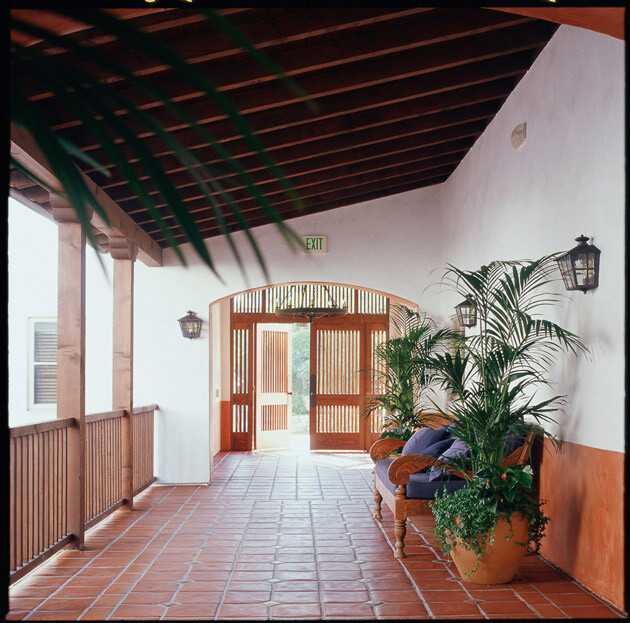 Other amenities include underground parking, exterior fireplaces and rich landscaping throughout. 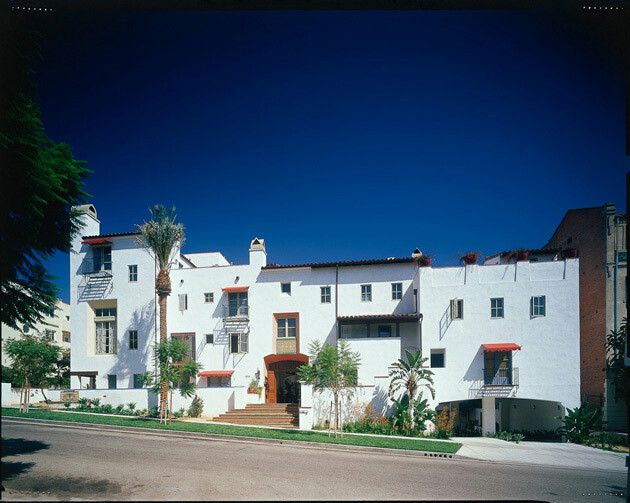 By reviving and refining the courtyard type, the project becomes replicable and relevant not only to its immediate urban setting, but also to neighborhood-making throughout Southern California.